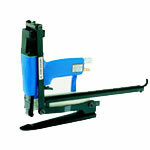 The Stanley-Bostitch FC-95 electric foot stapler is a standard for industrial staplers. Used for the high volume sealing of corrugated box bottoms this machine offers many features to increase productivity. 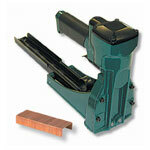 A roll capacity of 4000 wide crown staples lets operators to go for days without reloading. 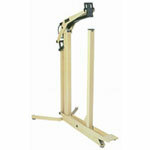 The pivoting clincher bottom allows for the easy placement and removal of cartons. 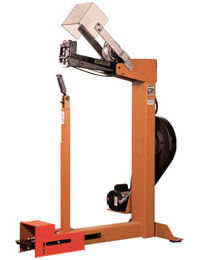 The electric foot pedal switch can be placed for operator comfort and efficiency and a plexiglass safety shield prevents workplace injury. 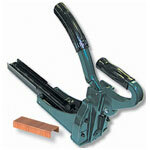 Stanley-Bostitch has been an industry leader in stapling for years.